FREE delivery to United Kingdom in 6 - 10 weeks. 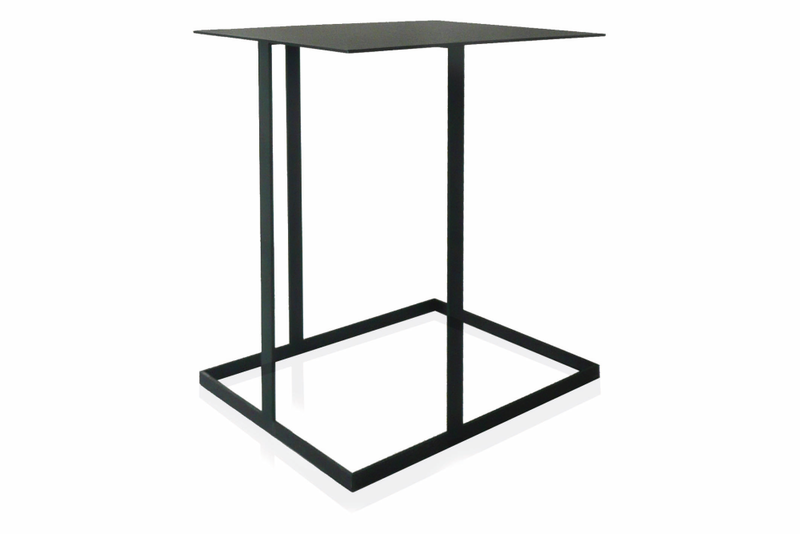 Annex is a multifunctional side table in a new design. The support has asymmetrical structures of flat metal strips. Because of their asymmetric design these tables can easily be moved by pulling their table tops. The functions of the free table tops with projection are obvious and are ideal for working from the couch or lounge chair with a laptop, for putting all kinds of things a side or for decorations. Gijs Papavoine (1949) studied at the institute of technology and Eindhoven Academy for Industrial Design, Product Design department. Gijs was employed as a Product Manager at Montis until 1990. In this capacity, he was jointly responsible for Montis’ design philosophy. In 1990, Gijs was promoted to dedicated designer of Montis. The Montis collection is characterised by the distinctive colour combinations in various special leathers and material properties, and the trademark Dutch design features with a personal, human character.